Toots and the Maytals, originally called The Maytals, are one of the best known ska and rock steady vocal groups out of Jamaica. The group was formed in the early 1960s and were seen as key figures in popularising reggae music. Frontman Toots Hibbert's soulful vocal style has been compared to Otis Redding, and led him to be named one of the 100 Greatest Singers by Rolling Stone. In 1968 they released a single called "Do the Reggay. This was the first song to use the word "reggae" and it is said that this lead to the naming of the genre and introducing it to a global audience. Frontman Frederick "Toots" Hibbert, was born in May Pen, Clarendon, Jamaica, in 1945, the youngest of seven children. He grew up singing gospel music in a church choir and moved to Kingston in the late 1950s. 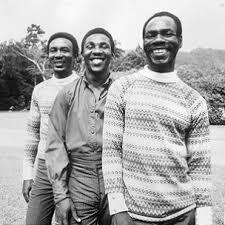 In Kingston Hibbert met Henry "Raleigh" Gordon and Nathaniel "Jerry" Mathias in Kingston in 1962 and formed "The Maytals" as a vocal trio, a group whose early recordings were incorrectly attributed to "The Flames" and "The Vikings" in the UK by Island Records. The first instrumentalist members added to the group included Jackie Jackson, Hux Brown, Rad Bryan and Paul Douglas. The group changed its name from "the Maytals" to "Toots and the Maytals", with "Toots" referring to frontman Hibbert, and "The Maytals" referring to the group’s instrumentalists and background vocalists. "We’re all original members of the band. First it was three guys: Toots, Raleigh, and Jerry. …And then they were signed to Island Records, Chris Blackwell. And we were their recording band." In 1970 "Monkey Man", became the group's first international hit. By 1971, they signed a recording contract with Island Records, became the biggest act on the island, and had become international stars. Following the release of Reggae Got Soul, Toots & the Maytals were invited to tour as the opening act for The Who during their 1975-76 North American tour. Toots and the Maytals' compositions experienced a resurgence of popularity in 1978-80 during the reggae punk and ska revival period in the UK, when The Specials covered "Monkey Man" on their 1979 debut album and The Clash covered the group's hit "Pressure Drop". In 2004, the group released True Love, an album of re-recorded versions of their earlier hits in collaboration with fellow musicians. The True Love album won the Grammy Award that year for best reggae album. In March 2009 it was announced that Toots and the Maytals would be performing alongside Amy Winehouse, for their shared record label Island Records' 50th anniversary. Winehouse had covered the band's "Monkey Man", and the act were supposed to perform with her at the Shepherds Bush Empire in London on 31 May 2009. However, Winehouse's performance was cancelled, and Toots & the Maytals instead played at the more intimate Bush Hall to a sell-out crowd.